This is one of my all time favorite recipes. I created it with love and a lot of trial and error as a tasty alternative for those with milk allergies or who may be lactose intolerant. It's sort of a cross between New England and Manhattan style chowder, and I added some Italian seasonings to give it a little extra zing. I hope you enjoy it as much as I do. Chop onion and place in small stockpot with cooking oil. Add minced garlic, (if desired). Saute until the onions are soft and the garlic turns light brown. Add water, diced potatoes, salt (if desired), and pepper. Bring to boil, cover, reduce heat, and simmer on low for 10 minutes. Add diced tomatoes. 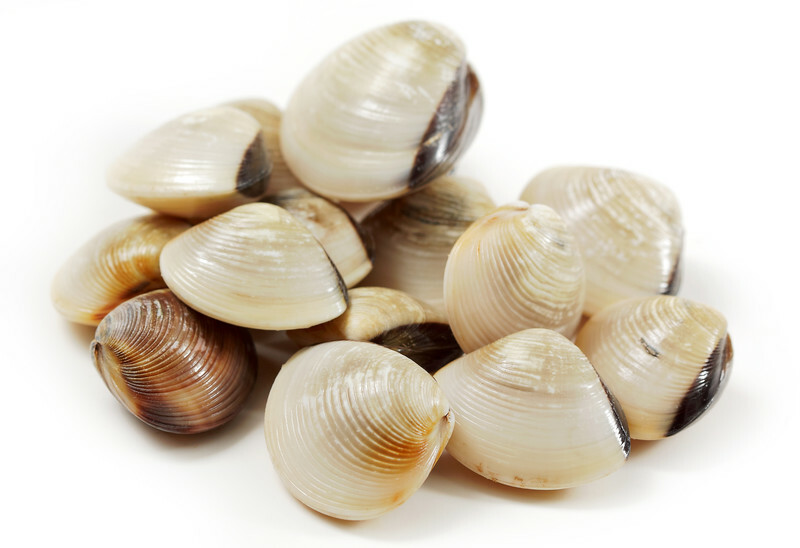 Strain clam juice into a small container and add clams to the soup mixture. Add Wondra flour or cornstarch to the clam juice and stir until all flour is dissolved and juice mixture is free of lumps. Add juice to soup mixture and stir thoroughly. Add garlic powder, (if not using minced garlic), basil, bay leaves, and Italian seasoning. Stir and bring soup back to a boil. Reduce heat, cover, and simmer on low for an additional ten minutes. Serve. Happy St. Patrick's Day. This may not be an official Irish recipe, but it's still a nice St. Paddy's Day dish, and with spring still a long way away for many us, it's also a nice, soothing hot soup for a cold winter night. This classic dish comes from the Rosie's Riveting Recipes cookbook, although many of you may have similiar versions in your own family recipe boxes. Chop potatoes fine or grate them. Add potatoes, margarine, and onion to the milk. Cook the mixture over low heat until the potatoes are tender, stirring regularly. By that time the starch from the potatoes will have thickened the milk slightly. Add salt and pepper. Modern Variation: To give this soup some extra zing try adding bacon, ham, or corn. Butter or olive oil may be used instead of margarine. Sometimes good things can happen when we least expect it, and where I come from, we call this a happy accident. 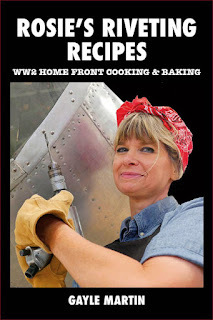 When I tested this historic recipe for Rosie's Riveting Recipes, I of course started preparing it according to the original recipe. Tomatoes are an option, but I decided to use a can of diced tomatoes instead of fresh. Popped open the can and dumped them in, only to discover that I'd added Italian style tomatoes instead of plain tomatoes. Well, no harm done. In fact, that extra flavor gave the recipe some added zing. So, even though it's not listed as an "official" ingredient, try it with a can of Italian flavored tomatoes, or add a teaspoon of Italian seasoning. You'll love it. By the way, this recipe is also featured in my Marina Martindale novel The Letter. You know, there's nothing quite like a nice, homemade romantic dinner for two. Cut meat into 1-inch cubes. Let onion brown in butter, then add meat and let it brown lightly. Add caraway seed, marjoram, salt, chopped garlic and enough paprika to create a noticeable red color. Add 1 cup water, cover and simmer for 2 1/2 hours. Add more water if necessary. Whole potatoes may be added to the goulash 1/2 hour before done. Some goulash recipes call for the addition of tomatoes. Strained tomatoes may be substituted for water in this recipe. Makes 6 servings. Note: Beef or chicken broth can also be substituted for water.